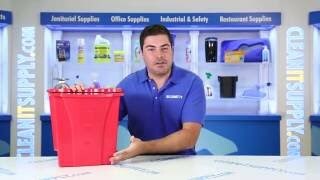 Wring dirt, grease and grime into the separate dirty water bucket instead of back into your cleaning solution for cleaner, less slippery floors. 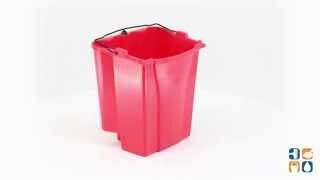 18-quart capacity bucket. For up to 32-oz. mop heads. Structural web molded plastic construction. Red. Use with WaveBrake wringers and buckets (code numbers 6186-88, 7576-88, 7577-88, 7580-88) to create a complete mopping system. Sold individually.